Great. Now my eye is twitching. 125. 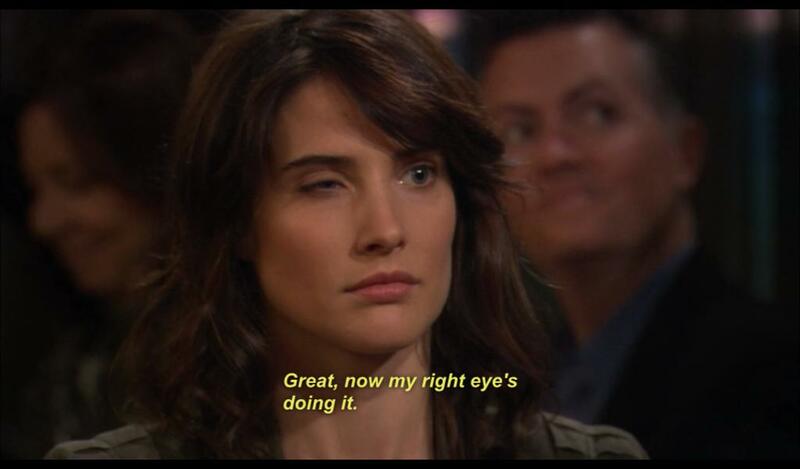 When your eye randomly starts twitching. I was once in a meeting with my boss, talking about serious stuff, when suddenly his arm started twitching. He was supporting his head with his arm, his hand on the side of his head (by his ear) and his elbow resting on the back of his chair. Weird pose, I know, but whatever. Then his bicep started to move, almost as if trying to spell out something in Morse code. Beep-beep… beep-beep-beep. We both noticed it. He put his arm down. We made no comment about it. You see, fasciculation can be a little embarrassing when we’re in certain situations. During job interviews- We can’t control the twitching, and sometimes it happens when we’re nervous. Our first instinct is to try to rub our eye when it starts twitching while we’re talking to the interviewer, but then you make it obvious! Oh well, I think trying to ignore it is a little more awkward. Those annoying leg twitches that WAKE YOU UP!- Ok, am I the only one in the world who has had those before? I am comfortably sleeping and then suddenly my body moves and I wake up freaked out, well mostly because I’m wondering if anyone saw it happen. When you can somehow predict it- Maybe its been happening, maybe you have a sixth sense for these kinds of things.. but every once in a while you can foresee these things.”Hey, dude, dude! Look! Its gonna twitch,” *Twitch, twitch* “Ha! Did you see that?” And then you go on for about a minute on how awesome that was. Have you ever wondered about how the word TWITCH came to be? It sounds a lot like “Witch”. I can imagine this happening a long time ago, when part of your body starts “moving magically” and people call you a witch and threaten to burn you at the stake. Ok, actually writing that out made me realize that its probably not how it came to be. Good theory about the way the word twitch came about. Imagine if that were true. Ha! So weird..
I’m sure that’s how “twitch” came into being! “T’witch! T’witch!” Runs around with sticks on fire. Wait, what are those things called? lol.. torches? In the winter? Whoa.. a seasonal twitch. I get a twitchy eye when I’m really stressed out. And then I start stressing out about my eye twitching…and then I get a headache, tis a vicious cycle. So stress is the cause of your twitches.. haha. Awesome. For me, I think it’s COMPLETELY RANDOM! At least you can somewhat prepare for it. I dont know if you have heard about this before, but back here in India, superstition says its good if the right eye flutters and bad the other way. Its funny but a lot of people do believe in these superstitions! I had never heard of that! But that is so interesting! There’s this similar thing with people from Mexico, that if your food falls off the spoon before reaching your mouth, someone wants your food. Hahaha.. now that one is weird. ha ha ..you have no idea…we Indians are freakin superstitious people! sample this: its inauspicious to cut nails after sunset! lol and a hell lot more!! !